I was just wondering what your other hobbies might be. Besides the tank we have, I enjoy doing some woodworking. I consider myself to be a construction grade wood worker. In other words, I am by no means a cabinet or furniture maker. 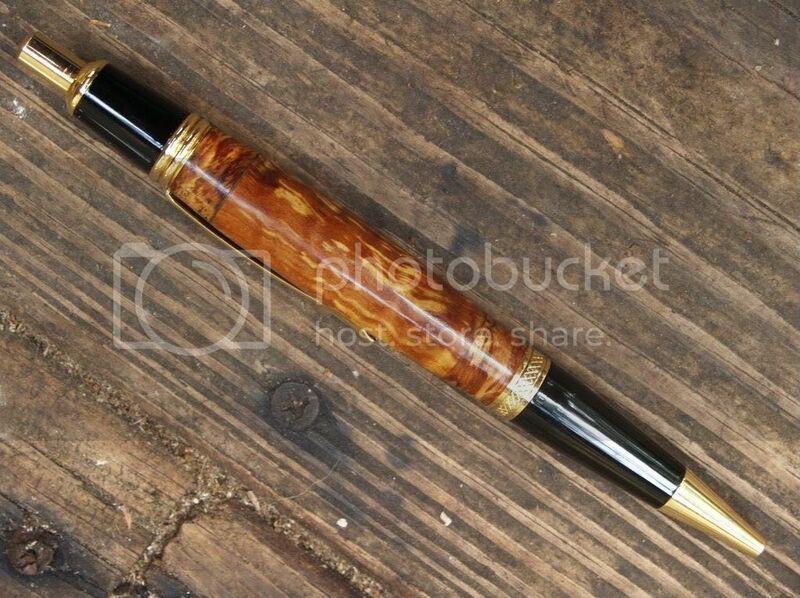 Not too long ago I got a wood lathe and started to turn some pens. Basically, I buy the kits for the pens, which includes the clip, center bands, transmission, nib end and ink cartridge. Then I add some wood to the mix and put them all together. 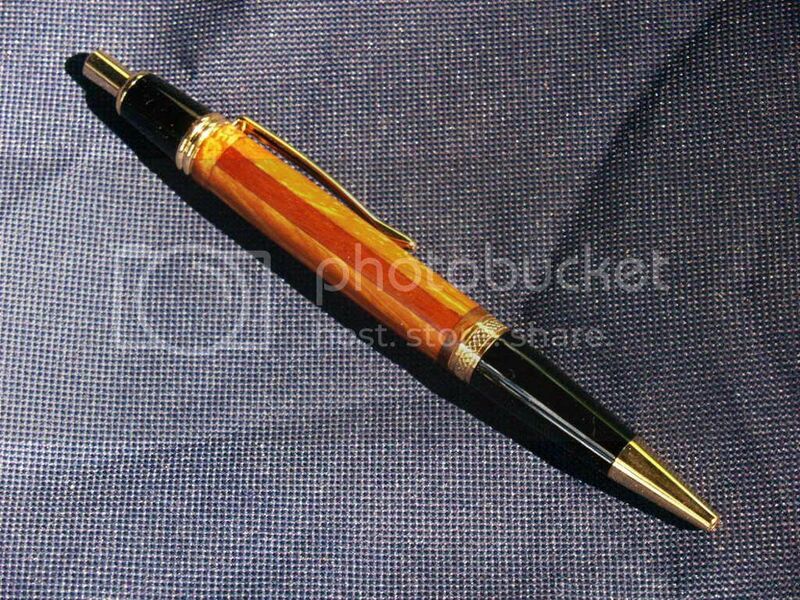 Here are some of the pens I have made so far.I forgot that these pics are a little too large and the right side is cut off. If you happen to see one that you have an interest in, let me know. I might have another kit of the same kind. So, should I bring some of these to the meeting to trade for frags? 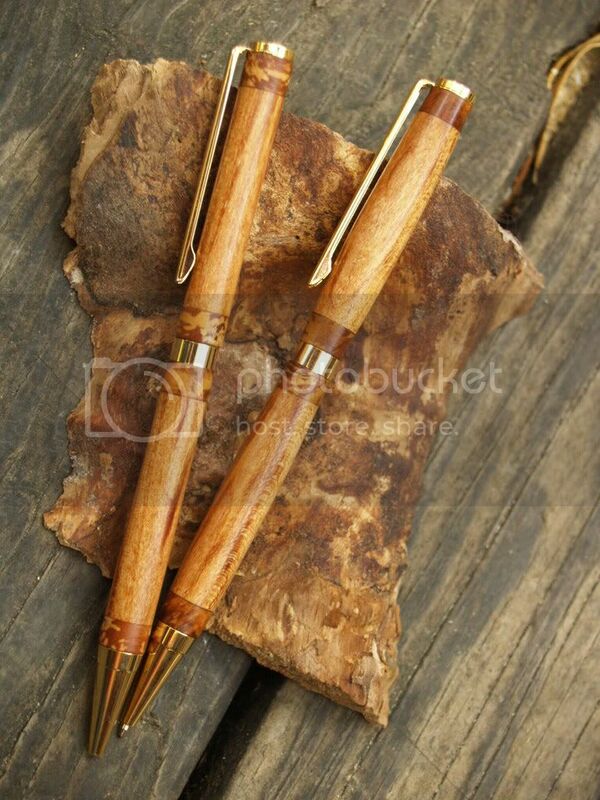 These are (top to bottom) Black palm cigar, spalted oak cigar and African mahogony european. They are all twist type pens. sierra click. I use this one every day. So what are some of your other hobbies? Sweet pens Rob. How much would one of those run? I have nothing to trade yet. other hobbies...hmmmm.... I play pool, and darts from time to time, not tht goo though. Also into playing about any sport out there. Used to play adult softball but I am to busy with work and stuff to make the time. Also used to buid models for a diversion and such but not much into that anymore either, had one half assembled for a couple years now. Thanks Jay. I'd ask from $12-15 on up, depending on which type of pen it is and what type of wood. That is if I had them on display at a store or something. I'm going to be making 12 pens for a guy at work. One type of pen he wants, I'm only asking half from him what I'd ask for it on display. Dave, you play pool? Darts sounds good. I haven't done that in years. I used to play soft tips. Do you have a board next to that table? You have a pool table? I vote next meeting at Dave's. I used to play way too much but just ran out of time and was spending way too much money hanging out at the bars. Miss playing sometimes though. If we ever play I'll make sure I stand behind you and not off to the side. How bout this. We could have a pool tourney for frags. Anyone interested bring a frag, doesn't have to be expensive. Do single or double elimination depending on how many people and first place gets first pick all the way to last place. That way everyone leaves with something and everyone has a good time. I'm down for anything, I don't have any frags right now but if we could setup some kind of buy in it might work. I woudl need to know a week or 2 in advance so I could clean out the garage, which I have been working on for the past month or so. Like I said the frags need be nothing special. The fun is in the event and camaraderie. You can just go to Matt's or the gulfarium and pick up a $5-$10 frag. I would prefer it to money because money and pool can get out of hand real quick. I actually got a PM from another club a while back about how they held a poker tournament along the same lines. If this was something enough people would be interested maybe we could get the club involved and turn it into some sort of mini event. I met up with Rob today. To take a look at those pens and to BS. 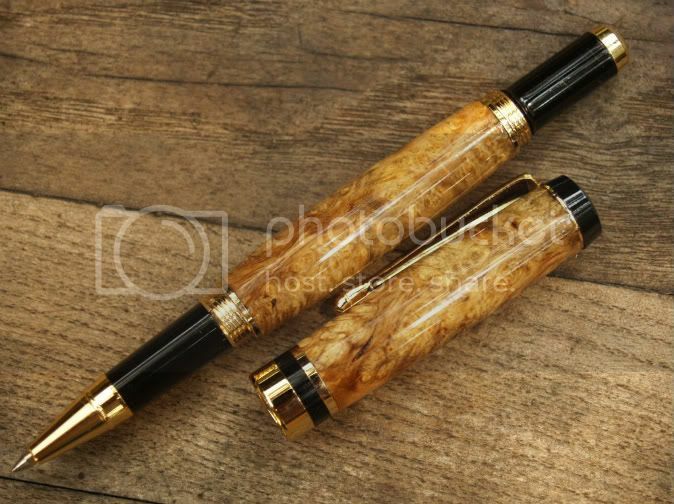 Those are some good lookin pens and I cant wait to get a few. Thanks Rob. Jay is going to want to pull another of my man cards here, but I don't know how to play poker. The pool or poker games/frag swap sounds good. Rob, I can't pull a man card, if you never had one. Wow....I've got some work to do with you. yeah and if you have more than 2 face cards that are the same person you have to fold. and give each person around the table a dollar. Come on guys!!! Your not suppose to tell him the tricks of the trade. It's always fun to a have a donkey at the game. Easy money. Ok. sounds good. But why are aces bad? Have you ever read my tag line? It really is not a hard game to learn, its just tough to master and get good.